Protecting your digital assets such as your website and your company’s online network is extremely important. As digitization accelerates, companies need to shore up their defenses against potential online threats in order to ensure data is well protected. 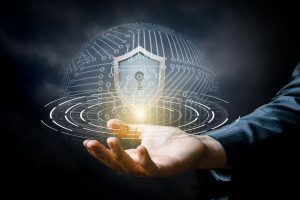 There is no denying the fact that the cyber security landscape is constantly shifting and business owners often have no clue how to deal with the ever-growing cyber security challenges. Today, businesses are discovering that, if they want to stay ahead with cyber security, they need to employ the right tools and techniques and hire the right people to ensure their protection. Although there are countless forms of viruses, malware, and online threats, the prevention tools are almost always there. You must integrate the proper cyber security options that you feel are right for protecting your business. Staying ahead with cyber security can only be possible if you adopt an approach of constant learning and exploring new techniques to protect your network. Besides adopting a DIY strategy, you can also hire someone to expose your cyber security flaws. The concept of ‘ethical hacking’ that is prevailing today has undoubtedly answered the unspoken cyber security needs of business security flaws and network imperfections. This has actually turned into a professional career for those who are good at identifying cyber errors. Businesses that generally rely on their online presence can avail this golden opportunity to hire the services of a professional ethical hacker who can prevent leakage of important data or bookkeeping records from a company’s servers. The data breaches in MNCs such as eBay, Yahoo, Target, Sony and many other reputable brands bear testimony to the fact that cyber security threats are certain and you need to come up with a data prevention plan in order to ensure your business data is secured and well-protected against all cyber threats. Data breaches negatively impact and hurt the integrity of a business. If it continues, no business can expect to survive in the market for long. How? It slowly and gradually diminishes their market share and eventually kicks the business out of the competitive race. Moreover, breaches in MNCs teach us that no company is safe from the potential dangers of the internet and we need to organize our servers and strengthen our cyber security systems to mitigate risks. Staying on the top o cyber security requirse you to be on your toes all the time. You must continue to learn the ways that cyber criminals can enter your system, servers, or network to steal vital information of your company and know what tactics they generally use to do so. To be resilient in today’s business climate, you need to fine-tune your plan of action and come up with a comprehensive cyber security plan in order to protect your company from threats and potential dangers. Arguably, there are many multifaceted aspects of cyber security that we may not be able to understand or comprehend, which makes it clear that hiring a professional cyber security expert is a wise choice for any business. They are experts in their field and know how things work practically. Besides learning what potential threats are out there, you also need to learn from the mistakes of others. You need to learn those lessons so that you can draft an amazing cyber security strategy for your company that works for you. Staying updated with newer and advanced insights from the industry helps you know what’s right for your business. If you think your business is too small and you cannot afford to hire a professional IT expert, you can go with a DIY strategy and install antiviruses and firewalls that will prevent cyber criminals from attacking your servers and stealing sensitive data. Best Accounting Tools: Tracking Time & Expenses What is Loan Amortization and How Does it Work?